“I wanted to win because last week we played in an Eurotour event and he beat me. So, this was a sweet revenge,” said Grabe, who also lost to Kazakis in the quarterfinals of the Kremlin Cup last year. The match was nip-and-tuck in the early stages, as Kazakis won the first two games then watched as Grabe sunk the 2-ball on a jump shot following a push out – the first of four consecutive games that he would win to take a 4-2 lead. Grabe would tie the match after the missed combination attempt, then use two breaks and runs along with frustrating safety play to win the next seven games and take an 11-5 lead into the 15-minute intermission. Of Grabe’s 17 wins only three were of the break-and-run variety despite not executing a dry break the entire match.With few clear shots after opening the game, Grabe had to focus on tying up his opponent with safety play and then taking advantage of any mistakes, which he did throughout the match. “When you’re breaking and you always have the first shot you always have the advantage,” Kazakis said. After the break in play Kazakis’ frustrations continued. 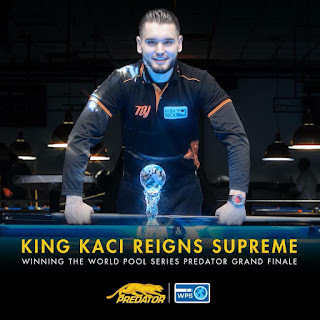 Despite Grabe twice relinquishing control of the table after consecutive illegal breaks Kazakis still didn’t see a clean shot on an object ball – losing a safety battle in one game and missing a cut shot on the one-ball in the side pocket in the next rack. Joey Korsiak, and Ruslan Chinahov on Friday to reach the Saturday quarterfinals and face Petri Makkonen. Grabe ran six straight racks on his way to an easy 13-3 defeat of Makkonen, then took advantage of some mistakes from Dennis Orcollo to win 13-8 and advance to the finals. “I had a couple of matches where I managed to win when I could have lost but in the final, I was like dominant. The scoreline says it all,” Grabe said. It was a disappointing loss for Kazakis, who had many people in the Greek-owned facility cheering him on. 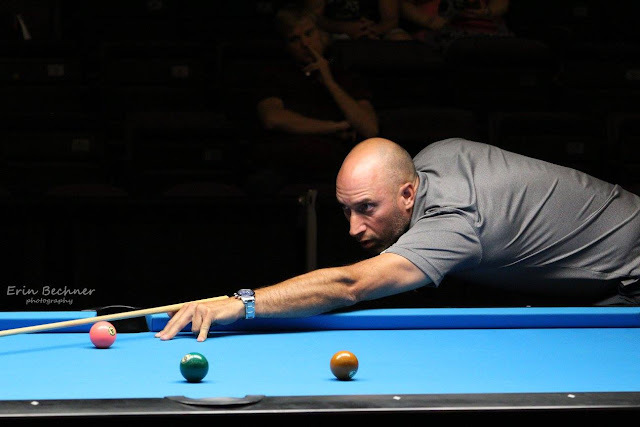 The Aramith 9-Ball Players Championship is the first event of the four-tournament 2018 World Pool Series. This event is being held at Steinway Billiards in Astoria, Queens, New York City from April 19th to 22nd, 2018. The World Pool Series is sponsored by Aramith, Rasson, Predator, Iwan Simonis, Tiger, and Kamui. Our suppliers and partners are Billiards Digest, CueScore, Let’s Go Print, On The Wire, Outsville, UpState Al, and the WPA. For the complete draw and live scoring please CLICK HERE. 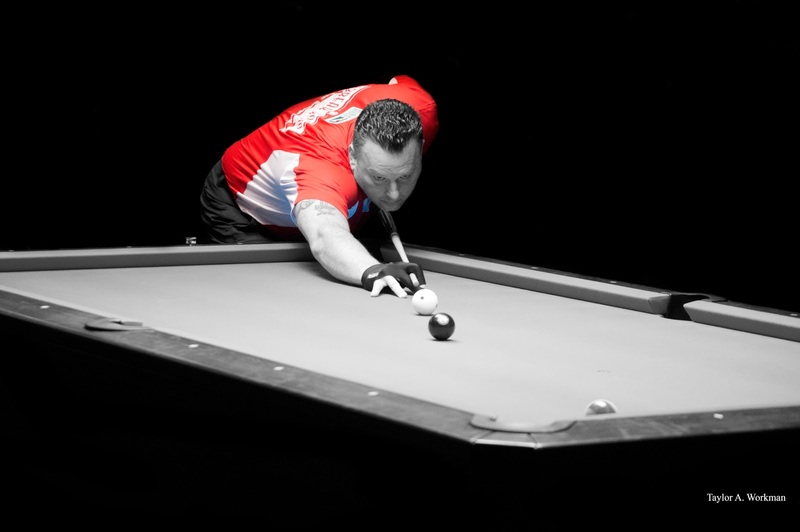 For more information on the World Pool Series, please visit www.worldpoolseries.com. Karen Corr once again showed she is till one of the top women players in the world going undefeated through a 56 player field at the Super Billiard Expo. 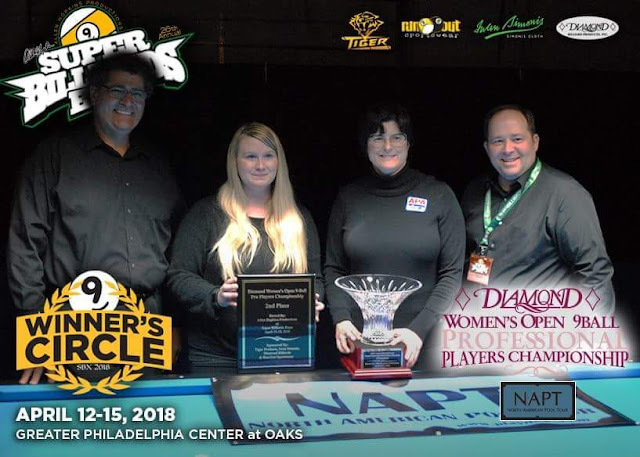 This event had over $8000 added and was sanctioned by the North American Pool Tour (NAPT), which is one of the most successful Pro tours for either Men or Women going at the moment in North America. Each event is a $5000 first prize and attracts some of the best female talent around such as, Corr, Allison Fischer, Brittany Bryant, April Larson, Janet Atwell, Naomi Williams, Jennifer Barretta and more. There was really two tournaments inside of one in this event, as once we got down to the final 16 it turned into single elimination with no redraw. Meaning if you stayed on the winners side throughout the beginning stages you would have the tougher path to the finals. Corr won the winners bracket with wins against Atwell 11-8, Vivian Villareal 11-9, and Allison Fischer 11-8. Bryant long time Pro with several big titles under her belt, lost her first round match then showed her heart and experience as she went undefeated on her way to making her second appearance in the SBE final. Her victories where against Store 11-7, April Larson 11-9 and then against Jai Li 11-9 before meeting up with Corr. It should be mentioned that Li split her time between working as a vendor and the Pro Arena. In her first match she got stuck at her booth and with the strict 2 minute forfeit rule she was forced to forfeit her first match. She pulled herself together and had an impressive 4th place finish. In the finals Corr showed that she is still a step above winning 11-6 to capture her 3rd SBE title. There was a strong showing by Canadian talent in this one, Denise Belanger had an excellent tournament as she was the only Canadian who made the final 8 on the winners side. She played a solid match against one of the next big things outs of the U.S Brianna Miller winning 11-3, before being knocked off by Fischer 11-4. Veronique Menard the number one player out of Québec for sometime now also had a good tournament. She finished in 13th place making the single elimination stage and losing a close match to Barretta 11-9 a match she was leading in most of the time and played very well. Multiple Canadian Champion Naomi Williams finished just before the single elimination rounds and for a fairly inactive player showed her talent level once again with a decent tournament. She is just about to finish her schooling, so look to see her more in the near future and would not surprise me to see her near the top of the next NAPT tournament she plays. Williams knocked out fellow Canadian and rising talent from Québec Valerie Bedard 9-6 who won two matches after her first round defeat to Miller. This was Bedard first time playing on this type of stage and she did not crumble under the pressure, look to hear more from her as she continues to develop. Nathalie Chabot was also in attendance but lost a couple close matches. During this week I spent more time then ever watching the Women play and I have to say it was enjoyable. The women seem to treat each other with more respect and do not get as testy as some of the men do. When the match ends win or lose they literally embrace one another, there is something kind of nice about the whole thing. Congratulation to the winners and look forward to seeing you all next time. Last Friday was the second day of the Super Billiard Expo an event I attend every second year. This week of pool is something I look forward to more that a child waiting to open their presents on Christmas morning. Once I know for certain that I will be attending I start marking the days off the calendar and even stay awake at night thinking about all the great times I have had in the past and wondering what awaits me in the future. 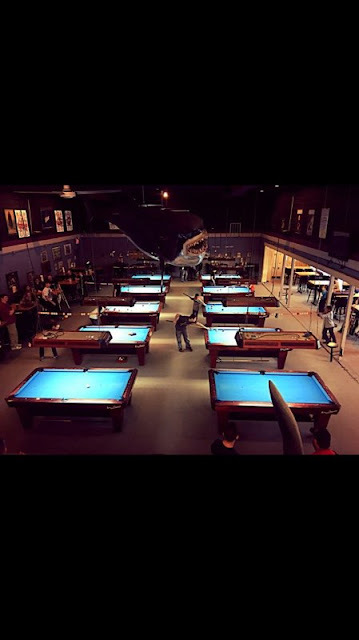 For pool enthusiast such as myself the Super Billiard Expo which takes place at the Greater Philadelphia Expo in Oaks Pennsylvania, this is the Mecca. There is a 1000 player Open Amateur tournament, as well as events right from Junior to Super Senior. TAP leagues hold their playoffs at the same time and there are Professional Women's and Men's tournaments. All this before I mention the countless vendors from the industry and the "Action Pit" where it is not uncommon to see matches played for thousands of dollars. For the average person they might not understand, however for us pool players that have the bug deeply ingrained in us, this might be the closest thing to heaven on earth. Being Canadian and all my sponsors are local supporters I often spend most of my time, sometimes admittedly too much of my time watching and covering Canadian players. 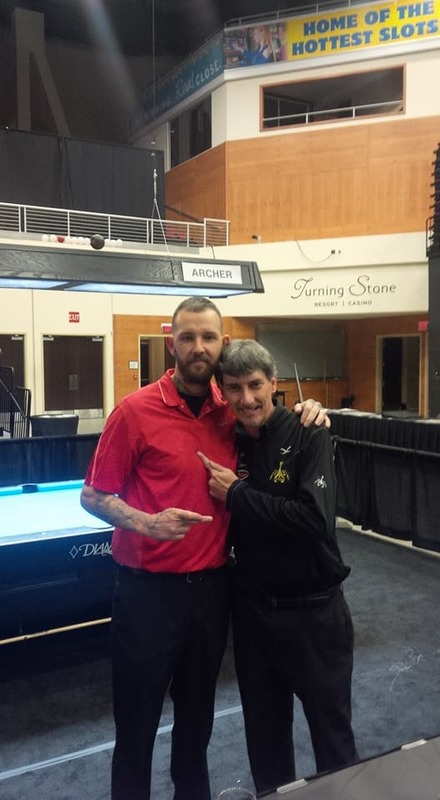 Last Friday at approximately 4:45 PM I was in the bleachers in the Pro Arena watching my friend Martin Daigle play against Mike Dechaine second round on the winners side of the Diamond 10 Ball Pro Players Championships. I happen to look to the right at one point where you can see people outside the front doors through a blue curtain having their smoke breaks. As soon as I look over I see a middle aged man slump against the outside window and then collapse to the ground. I remember my first reaction being of concern but also realizing how we are all sleep deprived and having some beverages at this event and I was hopeful it was not as serious as it ended up being. Quickly my concern turned into panic as I could see the people close to him frantically trying to revive him. Within a few seconds you could see someone performing CPR. The Match between Daigle and Dechaine was the closest to the window and to the credit of Dechaine he was the first player to noticed the man in distress and yelled into the crowd several times, "we need a doctor!" Players attempted to carry on, but most players and the entire crowd were focused on the man outside, as we watched the EMT's try everything in their power to revive him. The whole scenario played out over what might have been 20 minutes however it felt like an eternity, as we collectively held our breaths and watched as the EMT use a combination of CPR and a defibrillator which brought him back several times. While this was going on I made a brief post explaining the situation on the Cue Sport Nation Facebook page, I saw him get loaded into the Ambulance and throughout the rest of the event I wondered what happened to this man. It was not until yesterday where his son Carl Schulte Jr. reached out to me to express his gratitude for the post I made wishing his father to pull through. He informed me that his Father held on for 9 more hours in which time he was able to have one last conversation him, a lifetime pool player and league operator for both VNEA and BCA. Medical staff later informed Schulte Jr, that his father was most likely suffering from this for nearly 24 hrs and it went unnoticed. As he said, "He fought through it, drank beers and played a damn good match." A match that Schulte ended up winning, in fact the picture above was taken during this match less than 2 hours before the heart attack. 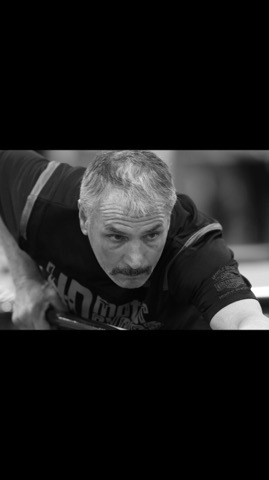 Schulte Jr, is a fourth generation pool player who described his father as a loving man who never pressured him to play pool and the best teacher he could ask for. It was just something he saw his father doing and wanted to follow in his footsteps. Pool was an activity that father and son frequently enjoyed together and was a lifetime source of bonding. The duo just a few weeks back won the Pennsylvania State Tournament, a memory that will undoubtedly live on in his son forever. Just a week prior to his death, Schulte celebrated his 34th anniversary to his wife Rita. Carl Schultes will be sadly missed by his daughter Nicole Marie (Jason) Blosser of Canfield, his son Carl E. Schulte Jr. of Hubbard, and three grandchildren Easton, Camden, and Karina.He also leaves his brother John A. (Lynn) Schulte, and his sister Sharon L. (Albert) Chiaberta both of Hubbard. I would like to personally send my condolences to the entire Schulte family. His loved ones and the Hubbard, Ohio pool community will feel this loss for sometime. I would like to thank his son for reaching out and informing me of what happened, let it be known that the pool community is a small tight nit one and we are all with you and your family in this difficult time. 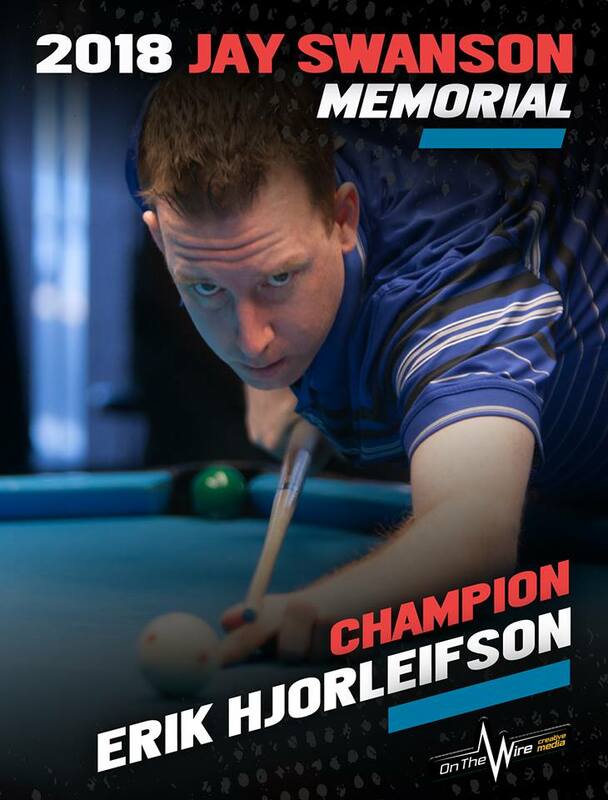 On the weekend of February 24-25th in La Mesa California ,Cue Sport Nation's co-founder Erik "Big Red" Hjorleifson won the Swanee Memorial. Hjorleifson who is back on the road after some time away had a successful first tournament back going undefeated to win. He is currently spending some time in the west coast of the U.S. Because of this you will see his name more and more in the pro tournaments in the area. The next one he is targeting is the Andy Mercer which is known for its huge calcutta prize pool. It was another full field of 128 players for this popular event with its share of big names. Former U.S Open and World Champion Mika "The Iceman" Immonen was present, as well as multiple Mosconi Cup team member Oscar Dominguez. Along with Hjorleifson other tournament favourites were, Ernesto Dominguez, Many Perez, Vilmos Foldes and Mitch Ellmerman to name a few. It was a break out performance for Many Perez who admits he does not have a lot of experience on the 9ft tables, being more of a 7ft barbox player. That being said it was him who Hjorleifson met in the winners side final after Perez defeated Foldes 8-4. Big Red knocked him over to the losers side 8-4 where he met up with Oscar Dominguez who just eliminated Foldes. The losers side final went down to the wire as Perez got the nod 8-7 over an always classy and very game Oscar Dominguez. In the final there was just no stopping Hjorleifson in this event as his firepower was too much for Perez again. Big Red went on to capture the title 8-4. Hjorleifson has been a big name in Canada since the mid 2000's with him being on the Border 9 Ball team, a Canadian junior Champion as well a multiple winner on the Canadian 30k tour. He has many top finishes including a top 9 finish at the U.S Open. 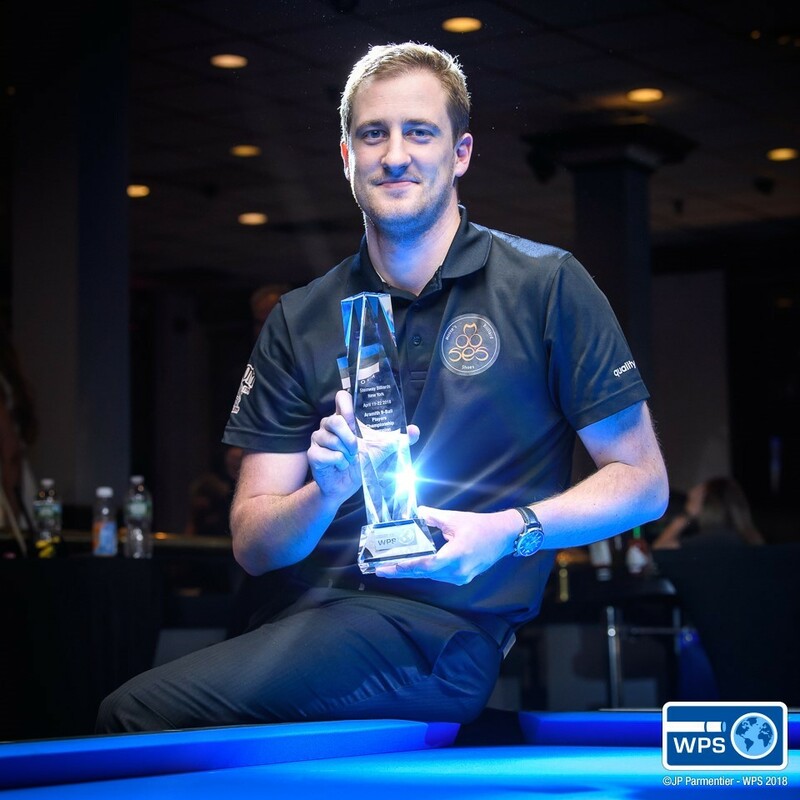 Most Recently he won the Canadian 10 Ball Championships a few years back as well as a runner up finish at the Turning Stone Classic to Mika Immonen. In this event Hjorleifson went to the final undefeated beating, Ko Pin Yi, Mika Immonen and Oscar Dominguez on route to name a few. 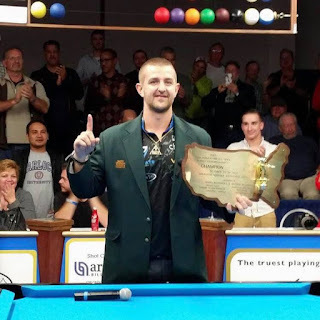 He is a classic example of the lack of money and sponsorship available in pool, after the demise of the International Pool Tour, Bonus Ball and then the Canadian 9 Ball Tour Hjorleifson has chose to remain close to home. Making most of his earnings dominating the open class events in Ontario for more than a decade. He is also one of the best instructors I have ever come across and has helped many players in the Great Toronto Area improve their game. I would like to congratulate my partner here and one of best friends on his recent success. He has been around the sport so long that it is hard to believe he is only 35 years old. Now that he is back playing full-time I expect this to be the first of many more top finishes. Also Ra Hanna and Beau Runningen from On the Wire Creative Media did a great job promoting and covering the event. They are the go to guys for all the best updates and coverage for pool events in the U.S.
2017 Year in Review and BIG RED'S Picks for Players of the year! Belated Happy New Year from Markus Noé and I at Cue Sport Nation, 2017 was an eventful year as always in the pool world lets take a look back at some of the highlights. The pool scene in North America remains a bit of an enigma. There are fewer and fewer players playing full time, the game seems to have shifted to bar table events rather than 9 foot events. Major 9 foot tournaments continue to be The Turning Stone classic (twice a year), The Derby City Classic, U.S. Open 9 ball, Super Billiards Expo and this year saw the return of the U.S. Open 8 ball and 10 ball on the 9 foots held at Griffs in Las Vegas. 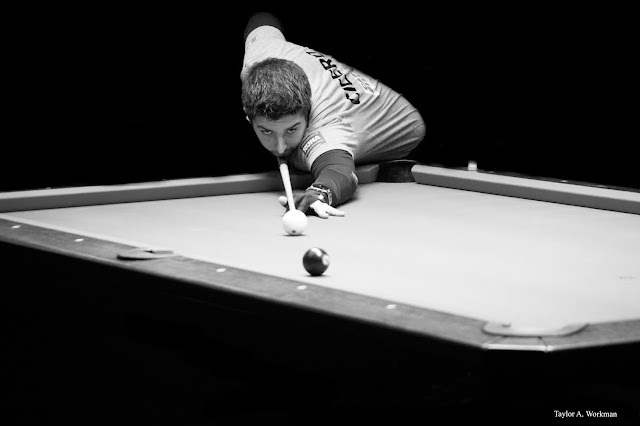 2017 also marked the first year of the World Pool Series, the 4 event tour was held at Steinway Billiards in New York City. Promoted and extremely well run by professional player Darren Appleton this tour failed to fill the 128 board they were expecting in any of the 4 events. By any means no fault of Appleton's as he vigorously promoted and provided an excellent tournament venue and structure. The main set back to these events was the lack of American representation and the lack of American rooms willing to jump on board to run qualifiers. In other words I'm sure there were many players that would like to have gone but could not afford it and have minimal sponsorship to off set costs. I believe this tour really showed what a desperate state American pool is currently in, even at the U.S. open there were only about 50 American players in the field . If you added up the first place prize money from all of these tournaments you barely get over the six figure mark, a glaring problem indeed! However the one player that seems to continually rise above all the turmoil continues to be Shane Van Boening winning 3 of the 11 U.S majors and finishing second in two others of the 6 that he attended. He is without a doubt The U.S #1 and always in the conversation for player of the year. Bar table events have been abundant, particularly bar table events with huge player auctions. Skyler Woodward was the most consistent winner of these events, Dennis Orcollo and Roberto Gomez also won a few. The WPA (World Pool Association) continued its embarrassing slide to mediocrity and frankly non relevance in the world pool scene. In 2017 there was once again no world 10 ball championship, no world 8 ball championship and the world 9 ball championship was held holding the same prize money as it has for the last 8 years. Prize money so bad that only 8 players were able to turn a decent profit. Of the few tournaments they did hold allegations of players waiting multiple months for payment were made and it came to a point where it seems that some have indefinitely boycotted the events. I could go on for a few paragraphs about the recent failures of the WPA but at this point it is fairly clear that they need to do more. There were also many other tournaments that the WPA had no promotional involvement with but imposed a sanctioning fee in order for the events to be recognized and sanctioned by the WPA. So not only are they doing practically nothing promotion wise, they are taking money out of the prize funds of other major tournaments they have nothing to do with. Matchroom continues to be the one bright spot on the world pool scene. 2017 saw them run their three major tournaments the Mosconi Cup, World Pool Masters and the World Cup of Pool. These events are televised around the world and presented with class and professionalism. If there is any hope for pool in the near future it seems to lie with Matchroom. The first prize in these events can still be improved a little I believe but is better than most other events. All players that participate in Matchroom tournaments are guaranteed decent prize money which is a nice perk. Joy tables continued to make a strong push for Chinese 8 ball in 2017 holding two huge payout events. One with $87 000 first prize and one with $151 000, the full prize fund in these events wasn't quite up to par but it seems like that will come with time. Joy offers free hotel and free food to all players competing in the qualifying and main stages of these tournaments which is an unprecedented gesture that makes attending these tournaments possible for many players. 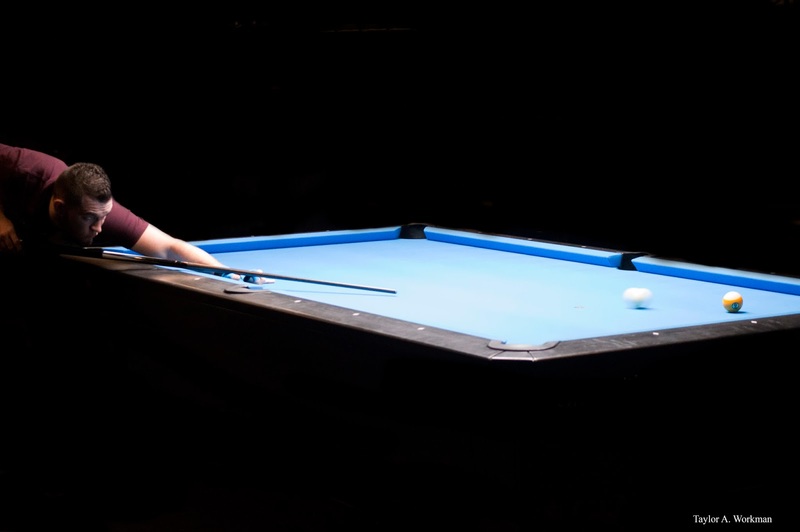 It continues to be a theme that players with English 8 ball, Snooker or strictly Chinese 8 ball experience have been the most successful at these events but for the players with pool background the answer is to get out and practice the game. Shane Van Boening gave the pool players a little hope as he finished ninth this past week in a field of all the best players. 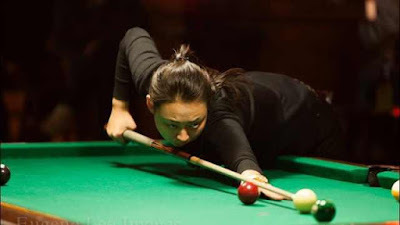 Siming Chen from China was the most consistent winner on the women's world tour this year winning the Amway Cup and China Open, she also had a semi final finish at the Women's World Championships. The prodigious 24 year old has long been touted as the next dominant female player. After many top five finishes in the previous few years she followed up her first world championship in 2016 with a fantastic year in 2017. Her two first places and third place finish in the three most prestigious events are particularly impressive considering most of the women's events are short race formats. 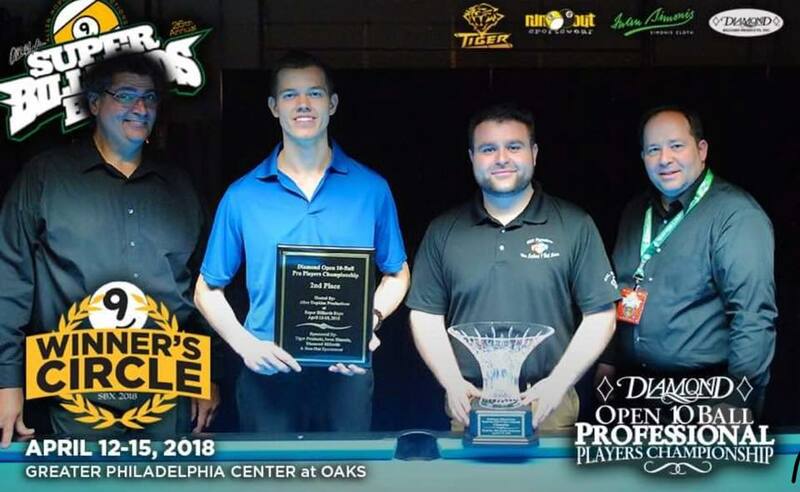 On the male scene there were four players that stood above the rest Jayson Shaw, Shane van Boening, Klenti Kaci and Josh Filler. The two breakout years were provided by Kaci and Filler, both under the age of twenty one these two turned a lot of heads in 2017. Filler displayed offense and speed of play that no one has seen since Jayson Shaw. 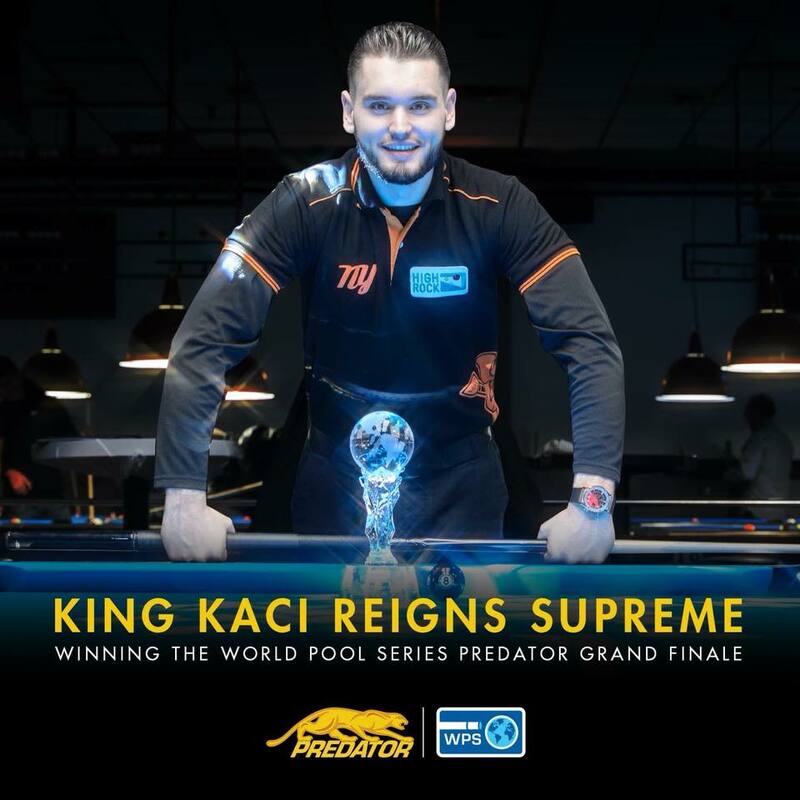 He won the China Open and was the Mosconi Cup MVP, he also had deep finishes at the U.S. Open and World 9 ball Championshps, he has put the world on notice as someone to watch out for in the coming years. Klenti Kaci from Albania seemed to come out of nowhere to win two World Pool series events this year and finish second at the U.S. Open. Playing a more conservative style he showed poise and determination way beyond his years. 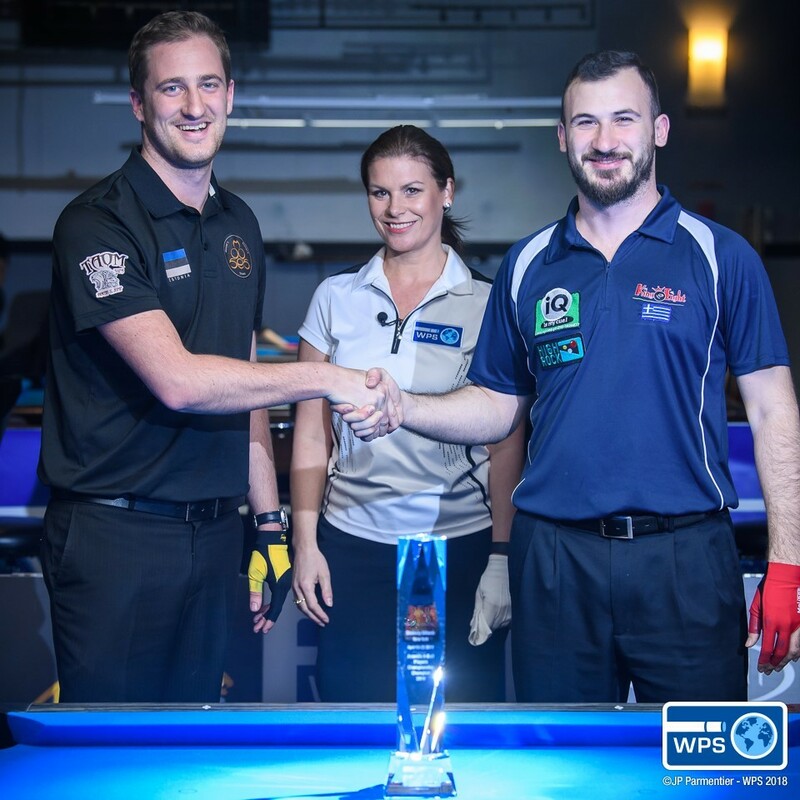 Both products of the Euro Tour these two players showcased the young up and coming talent from Europe and a system of tournaments in Europe that is developing real professionals as was again evident in this years Mosconi Cup. In my opinion the honour of player of the year was a dead heat between Shane Van Boening and Jason Shaw both had numerous wins in world class fields. Both did not compete in the World 9 ball Championships which again I believe speaks to the irrelevance of WPA events. And by the absolute slimmest of margins Cue Sport Nation is going to give the nod to Jayson Shaw, congratulations!!! 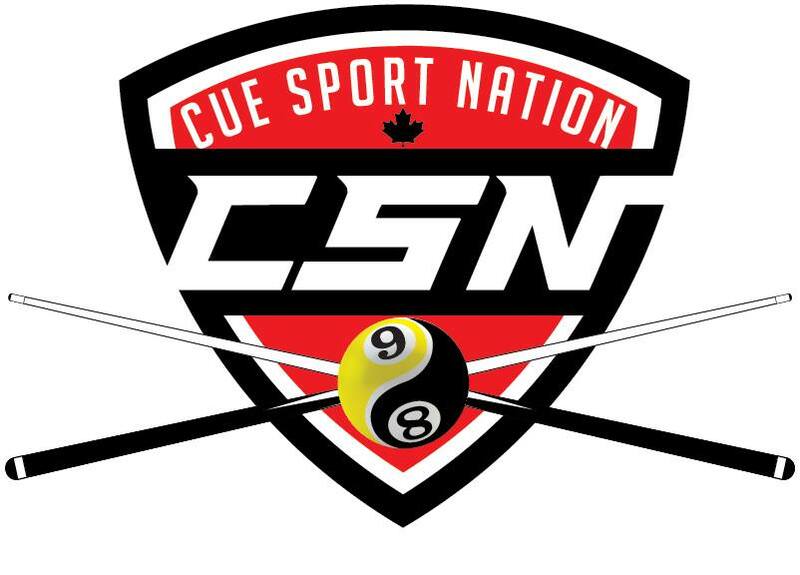 Stay tuned to Cue Sport Nation for everything to do with billiards in 2018. The Joss Northeast 9 Ball Tour once again kicked off its season on the first weekend of January hosting its $25,000 added Turning Stone Classic. This is held twice a year once in early January and again at the end of August. This tournament routinely features a significant amount of current and former World Champions, U.S Open Champions and other major event winners as well as up and coming players. For various reason and weather was one of them, this field among casual fans looked like one of the "weakest" fields in recent memory. Big names that jumped off the page as favourites to win were; Jayson Shaw, John Morra, Mika Immonen, Billy Thorpe, Dennis Hatch and Johnny Archer. Outside of this the field was fairly wide open. Being that this tournament is just a few hours south of the Canadian border, many canucks most from the Montreal, Quebec City, and Greater Toronto Area make their way to participate. As is the case with everything because of how the U.S population of 300 million dwarfs the Canadians at 36 million there are many more travelling American pro's who rely solely on playing pool as a living compared to Canadians. What has always filled me with a certain amount of pride is the amount of high level players we have that sponsor themselves with full time jobs, and few times a year they are able to show up to these major events and hold their own. This past edition of the Turning Stone Classic was no exception to this. Martin Daigle who could be mentioned as one for the most improved Canadian players of 2017 made a little noise. Him and fellow Québecois Nicholas Charette finished tied for 17th. Daigle owner of a successful roofing company in Québec City called TOITURE ROYALE had a big upset win against John Morra eliminating him from the tournament 9-4. He had successful 2017 making the final of several Falcon Cue's Quebec Tour as well as beating Earl Strickland and Tom Kennedy at the U.S Open. Daigle followed this up by beating 2015 U.S Open Champion Cheng Yu Hsuan at the World Championships. Jesse Piercey based out of London, Ontario also had an impressive event. On route to a 9-12 finish Piercey had two huge 9-8 wins. First against "Kid Delicious" Danny Basavich then in a classic case of when your idols become your rivals he defeated Johnny Archer. 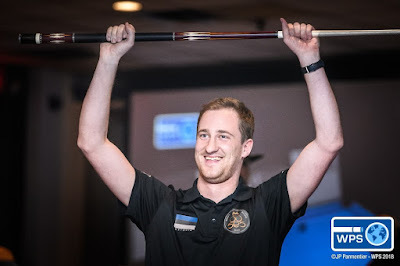 2017 Canadian 8 Ball Champion Adam Monture who somehow always flies under everyone's radar but consistently places in the top of big events also finished 9/12. It took two world class players to knock Monture out of this event as it was Thorpe and Immonen who handed him his only loses. The current number 1 ranked player in Québec also had a successful showing as Danny Hewitt finished tied for 7/8th. Now lets get to the meat and potatoes of this event. There are lots of other story lines to discuss however at risk of writing a 10,000 word report I will discuss the one that had everyone talking. Which of course was the break through performance for the 26 year old Joey Cicero. Cicero holds all the records in the Québec Federation for a player who went from a C ranked player to Professional in only 6 years. The Federation is well known for being one of the main breeding grounds for talent in Canada and not an easy place to obtain a Pro ranking by any means. Cicero quickly made a name for himself in Québec as a fearless head hunter, always looking for and challenging the top players around. It is is no mistake that he goes by Joey "The Hunter" Cicero. Personally I compare his character to that of UFC lightweight Champion Conor McGregor. Like the Irishman, Cicero is brash, confident and gets under peoples skin with his trash talk. But this is of course all apart of what has made him successful. I believe since he began coming to Turning Stone he has not gone one event without cashing, usually in the 9-12 position. He has had several impressive wins to in this event over players such as Shaun Wilkie, Hunter Lombardo, Ko Ping Chung to name a few as well as 9-8 loss to Jayson Shaw. In this tournament he broke through and finished in the 3rd place. On route to this 3rd place finish he was able to finally get that win against his favourite player Jayson Shaw 9-5. In this match it looked like it was not to be for Cicero as he trailed 1-5. However he only needed one chance at the table to turn the tide as Shaw only had a few chances after this point to even come to the table, as Cicero was soft cutting the breaking and basically just running rack after rack. Once this match was complete he then went on to beat Zion Zvi 9-6 which earned him a showdown with Billy Thorpe in the winners side final. Cicero looking to make his first appearance in a final of a world class field showed little to no nerve quickly taking a 3-1 lead. Thorpe never lead until 5-5 he broke through to 7-5 and it felt like the younger but more experienced American Mosconi Cup team member was going to take control. However Cicero who time after time showed his heart came back to 7-7, it was this rack the 15th of the match that changed the tide of the whole tournament. It looked as if Cicero was going to run-out a routine rack to get to the hill game first. With how he was breaking it could of very well meant the end of the match for Thorpe. Cicero had a fairly easy shot on the 8 ball, however he is a player not blessed with great height and this shot was just out of reach for him. Thus he reverted to his extension and he missed the shot badly, leaving Thorpe almost at the center of the top rail with no real shot. Somehow Thorpe with over half his body on the table comes with a miracle cut in the the corner, but he had to leave the cue ball lose to do so. With the 9 ball hanging he was most likely thinking that as long as he pots the 8 he wins the game. Unfortunately for Thorpe the cue ball rips around 3 rails and goes right into the heart of the side pocket. At this moment Thorpe committed a foul by swiping the 9 Ball so hard it flew off the table. In this tournament no games are permitted to be conceded. It comes at the cost of losing the game you conceded plus an extra game penalty. According to these rules Cicero just booked himself into the finals of the tournament. "The Hunter" never said a word about it, he wanted the balls racked and was preparing to break. Tournament officials even had to quiet the crowd down because some of them were literally yelling across the room for Cicero to call the penalty. I have known Cicero for a few years now, and call him a friend. Personally I feel I know him well enough to say that money is not the issue here for him, as he basically threw away a guaranteed extra $1400. He is not the kind of player who wants to win on a ruling or a technicality nor is he a road player constantly grinding to eat. Cicero just wants to beat all the best players and be known as the best. This is what fuels him and this is what has made him the player he is. Now unfortunately pool his a heartless game and even though he did an honorable thing this does not always draw favour from the "pool gods." Thorpe went on to win the next rack and then after a break that resulted in a safety exchange that Cicero won it looked as if he was going to run out for the win. However on a routine clearance a hint of nerve perhaps caught up with Cicero and he over hit the cue ball and hooked himself on the 8 ball while playing position to the 7. Thorpe than ran out to win the set and went on to beat fellow Mosconi Cup Teammate Dennis Hatch 13-11 in the final. This was a great match as Thorpe built a sizable early lead and Hatch came storming back to just fall short.
" Billy and I were in a tight battle, it was 7-7 in a race to 9 and we both wanted to get to the finals. I had the rack to get on the hill first, when i got to the 8 ball, I screwed in my extension on my cue to play the 8 ball since it was far up table. I accidentally screwed in my extension crooked which made me miss my 8 ball. I left Billy a hard shot on the 8 ball, he made a great shot on it and scratched. I understood his frustration, it wasn't the way he should of acted, but it was obviously frustrating. I knew the rules, I knew I had the match to go in the finals, but I have respect for Billy and didn't want to earn the win like that. It was obviously a heart breaking loss for me, but I am happy for him. I did not win the tournament, but I won a lot of respect and that's enough for me"
There are arguments to be made on both sides of this point. Because while in this moment Cicero showed incredible sportsmanship, Thorpe technically did not even though what happened to him was awful in that moment. But for a world class professional and U.S representative to take his cue and hit the 9 ball so hard it flies off the table is a punishable offence. The other point is mentally it is an enormous obstacle at least it would be for me to overcome the fact that intelligently you know you have already won. Now that could be an example of how mentally weak I am but that would weigh heavy on me the rest of the match. Either way it was one exciting tournament and Thorpe played amazing the whole event and deserved the big win!